Thanks Great Aunt Vikki + Jordan for the beautiful silver bow! When I decided to publicly announce Evanna’s GTube surgery date, I was aware that there would be a risk of things changing. When you work, live and breath healthcare – you learn real quick the inner workings of it, and how the system works. Unless a procedure, test or surgery is an emergency, things have a tendency to get bumped (generally for other emergencies) on a regular basis. I can’t tell you how many surgeries (I can for sure think of two at this very moment...both her first open heart surgery and her first diaphragm plication), tests (CT’s, xrays, etc) and procedures (bronchoscopies) that we experienced bumping. While there was a lovely opening for us on December 31st for Evanna’s GTube, just a day later, the clinic called me realizing we had bit of a hiccup – we need an anesthesia consult! 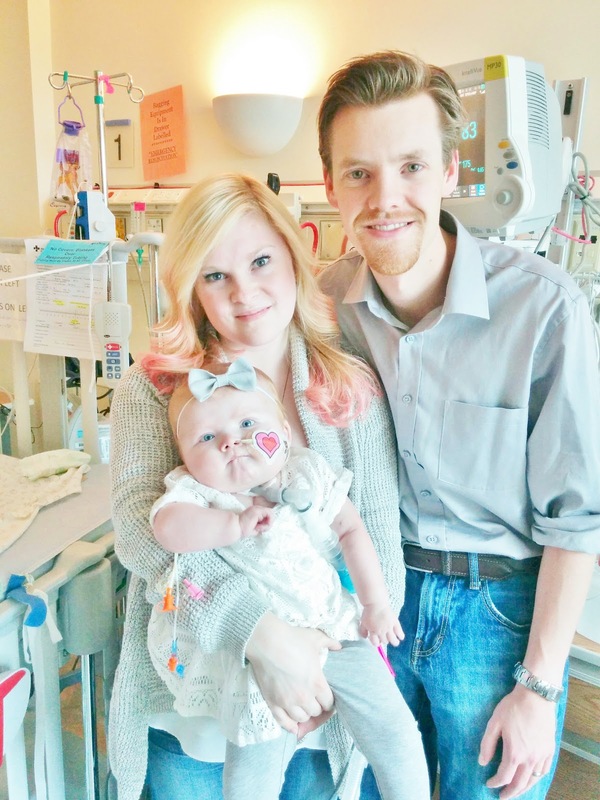 You see, this will be Evanna’s FIRST surgery here in CALGARY at the Alberta Children’s Hospital. The other 7 have ALL taken place up in Edmonton, and not only are they the heart experts, but they know Evanna pretty darn well (and in return, I know quite a few of the anesthesiologists by name too). So while this is a fairly straight forward surgery (let’s just say that out of all of Evanna’s surgeries, Nick and I are placing this one at the bottom of the list of ones to be nervous about), Evanna is “still Evanna”, and on paper she freaks people right out! So before we step foot into an OR here in Calgary, they want a consult with anesthesia done first. I definitely don’t have a problem with that, as it’s better to be safe than sorry, but I’ll probably just tell them to get a hold of her Stollery records, and even call Dr. Cave (he’s one of the main pediatric anesthesiologists, head of the PCICU AND our primary intensivist up in Edmonton), as he knows Evanna VERY well. 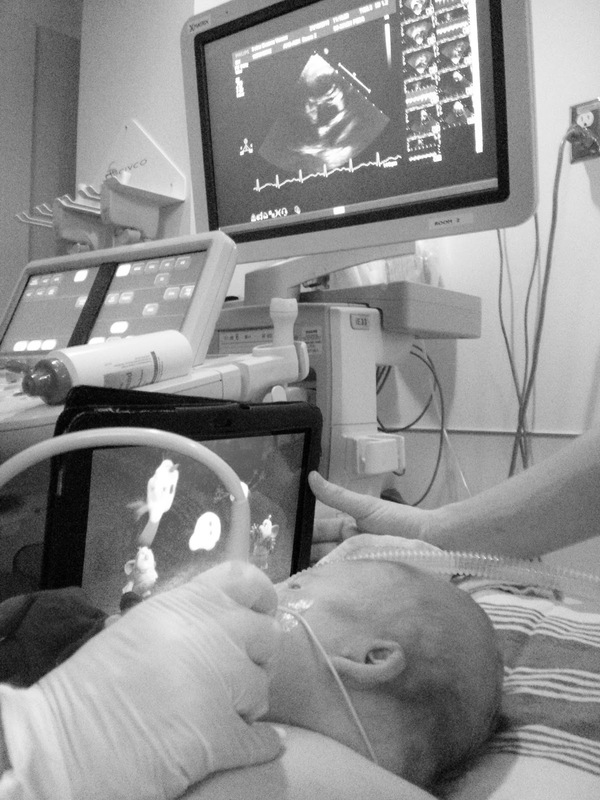 We understand there is always a risk when going under anesthesia, and being that ACH doesn’t deal with heart babies too often, I definitely understand them being extra cautious. We’ve never had a problem in the past, so I’m sure once they double check everything, we’ll be set to go. At the moment we’ve been rescheduled for January 14th, so that’s still not too far away. Today we had another Cardiology appointment. 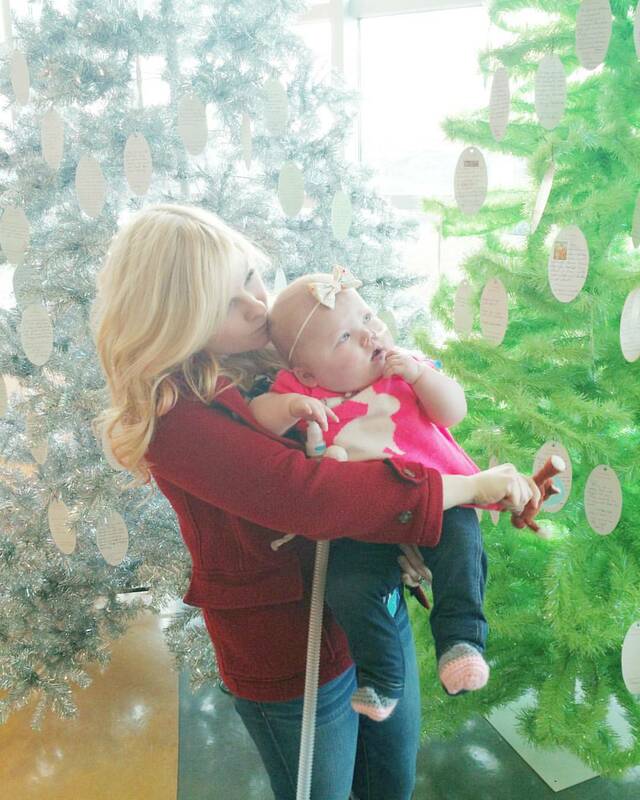 Our cardiologist just wanted to have Evanna checked out before the holidays (her ECHO continues to show Evanna remains stable), and talk about New Year plans in regards to her heart. 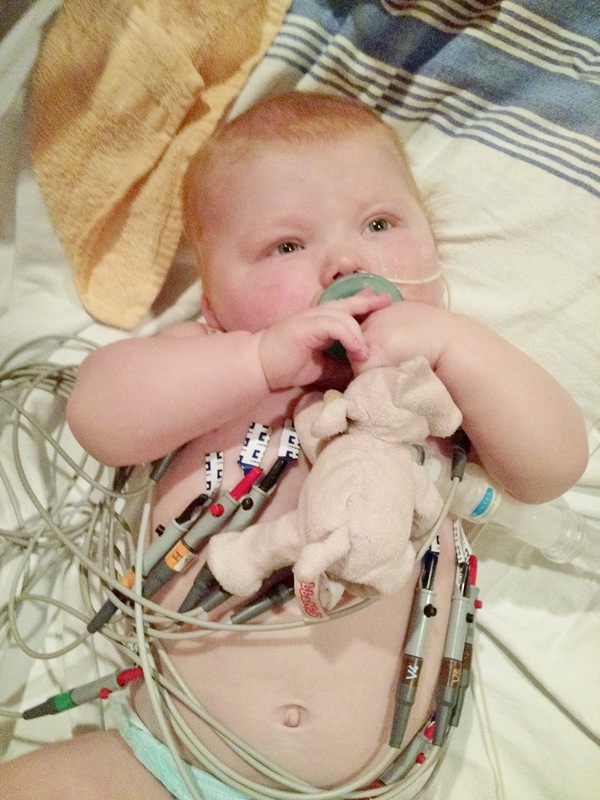 Dr. Fruitman presented Evanna to the Western Canadian Conference last week, and it was decided that before they determine a Cardiac Cath is necessary at this time, they want some new imaging done (in the form of a CT Angiogram) to see what her collaterals have been doing the past 7/8 months. Back in May, her collaterals (the tiny vessels that Evanna’s body created to get blood from her heart to her lungs) on the right were doing okay, and so they want to see if they need any further dilating or to just left alone. The collaterals on the left are definitely VERY concerning, and on most days I don’t like to think about it. They were incredibly narrow and Dr. Rutledge couldn’t even get a wire through them last time – meaning they are at a huge risk of occluding (blocking off). While the medical team isn’t too hopeful that there will be much change (and they could already be blocked off), I’m still holding out for a miracle. 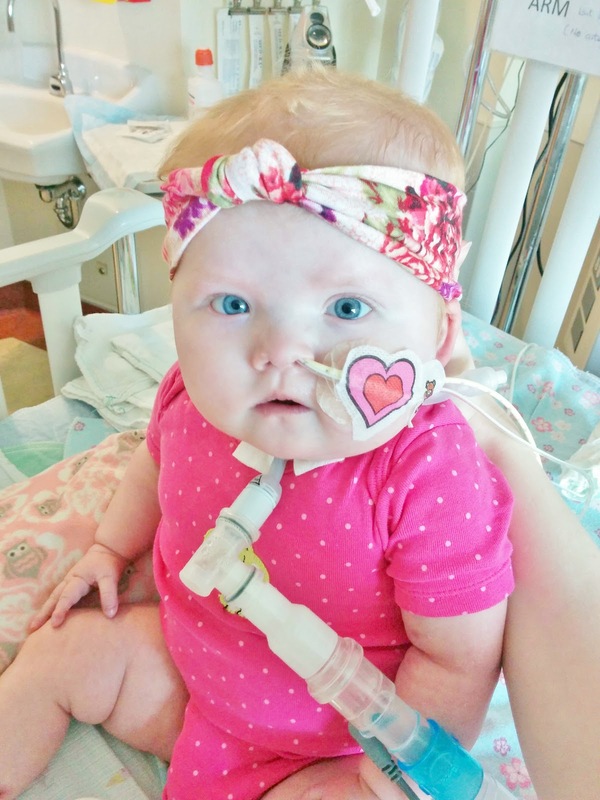 Again, when people look at Evanna, they only SEE her respiratory issues, but that will resolve – it’s her heart that is and will always be our biggest concern. So I know MANY people keep Evanna in her prayers, and if you want the ONE specific thing that is the MOST important to us – it’s for her collaterals to GROW. Nick and I are not unrealistic, but we’re still in a place of hope and this show is far from over. Minus our worries about her left collaterals, Dr. Fruitman and Patty (our main Cardiac RN) are just thrilled with Evanna’s progress since we’ve been home. They think she looks absolutely amazing and continue to compliment on a job-well-done on our end as her parents and advocates. With our new lower concentration of calorie intake, Evanna has lost weight…but that’s actually okay! Between September – November, Evanna’s weight just skyrocketed, and was being overfed. So we diluted her formula and hope she relatively maintains her current weight while we wait for her length to catch up. 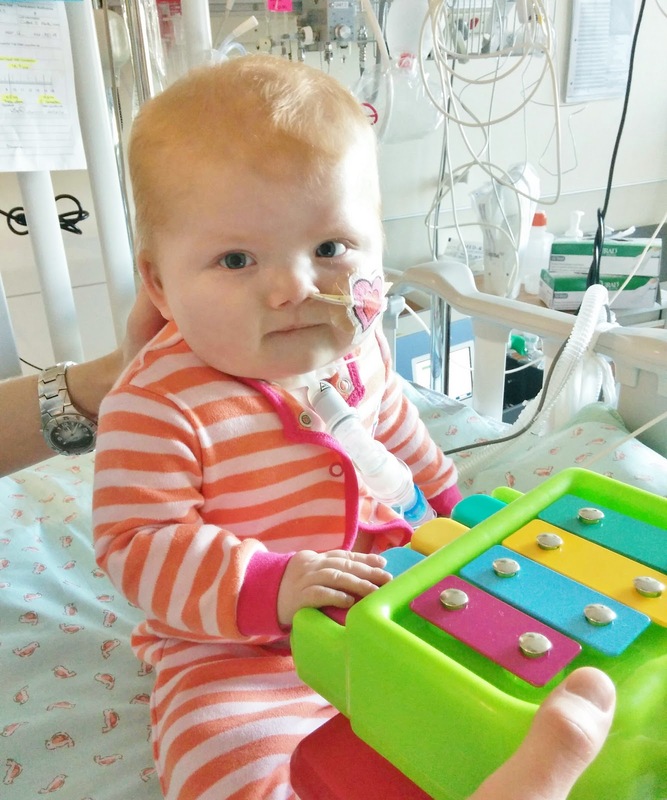 Last night, Nick’s mom even noticed that Evanna doesn’t look as “puffy”, and trach care isn’t as hard to do, as we can get to her neck to clean her tracheotomy. Most heart mamas reading this will probably be weirded out that our “heart baby” is gaining too much weight, when normally they have the opposite problem…but it’s because Evanna is supported by a home ventilator – so she doesn’t require as many calories, as her body doesn’t have to work as hard. Basically it’s a tough little balance to determine what the best level for Evanna is, and it’s going to be ever-changing for years to come. We didn’t change up any of her meds, but with an upcoming surgery, we just want to leave things as they are until after January. We didn’t set up a new Cardiology appointment yet, but Dr. Fruitman is going to talk to the general surgeon and see how long he thinks we’ll be admitted for the GTube surgery, when we think doing the CT Angiogram will be best (either during the same admission, or a separate visit all together), and whether Anaesthesia needs a new ECHO (even though we just did one today) before her GTube surgery in 3 weeks. On our way home, the Anaesthesia clinic called and scheduled a consult for the second week of January, and minus the CT Angiogram timing, everything is all set for a busy January. So we got a surgery date for Evanna’s GTube, and it looks like we’re squeezing in one more surgery before the year is out! In true Evanna form, it also lands on a holiday – New Years Eve (a lot of Evanna’s major hospital events this past year all happened on holidays …. Cardiac arrest just days before Halloween 2014, airlifted by STARS to the Stollery Children’s Hospital on Mother’s Day, and Septic Shock on Canada Day)! Personally I am kind of okay with this date (I’m sure others would have asked for a different date), but because Nick happens to work (we’re working on that detail) and we didn’t have any New Years plans to begin with, I thought why not? Really I am just shocked at how fast this is all happening. Due to the fact that this is considered an elective surgery, I anticipated mid to late January, and even into February before we would see the inside of an OR again, so I was surprised to hear from the General Surgery Clinic just one business day after our referral went in, and a surgery scheduled just a few weeks after our consult appointment. Overall I’m really looking forward to a “tubeless face” and not have to torture Evanna with sticking tubes down her sweet little nose – she’s had it for WAY to long. Nick and I of course are NOT looking forward to being admitted, when it seems like we just got discharged, but hopefully this will be the last “surgery” (we still have some cardiac procedures planned in the very near future) for a long time. I really think “no surgeries in 2016” can be our theme lol. I called the Cardiology Clinic this morning to let them know and keep them in the loop, as we are in the middle of figuring out Cath plans. While we’ll get more information at our next Cardiology appointment next week, the Cardiac Nurse (Patty) informed me that it looks like the Stollery Medical team would like for Evanna to have a CT Angiogram here in Calgary before making further plans, but I’ll be sure to update everyone once we know more. As for other updates, we are definitely keeping very busy. We’ve begun to do some “Taste Therapy” with Evanna, and she’s doing alright. She plays with the pureed foods, and will put her fingers in her mouth from time to time – followed by making a funny face. I do forsee that this will be a long process, but that’s why I am happy that we’re proceeding with a GTube now, as it should help with some of the food aversion, and there are some negative problems with having an NG for a prolonged amount of time (tunneling in the nasal cavity, continued vocal cord irritation, etc). We’re also doing physical and occupational therapies, and Evanna has definitely made lots of progress since we’ve been home. While I had hoped she would be sitting up on her own by now, just a few months ago she would cry and have a major desat when we did tummy time with her, and now we can’t keep her off her tummy and is such a rolly-polly (which means she’ll often disconnect herself from her home vent several times a day). Evanna is also down to 3L of oxygen and doing great. I know the respirologist said they don’t often makes changes during the winter months, but once we get the Gtube and Cardiac stuff behind us, I definitely am going to push another trial to see if Evanna can handle 2L. We’ve hired and are training a few more homecare nurses to help cover a few days shifts (we get 20 hours a week for DAY purposes), and be backups for nights. I will say that we’ve been pretty blessed in regards to our homecare staff. In the trach world you hear of some awful horror stories when it comes homecare staff, but we’ve been fortunate in finding some awesome girls who have been reliable, and they just absolutely love and adore Evanna. One benefit to homecare is the goodnight sleeps I get….which is something you never hear a new mom say, but our circumstances are unique, and I’m just trying to look on the brigtside – plus it won’t be like this forever and it’s for Evanna’s safety. I go back to work for a few days a week at the end of December, which is kind of exciting. I will mainly work on Nick’s days off, and I'm glad it will get me out of the house and have some adult face-to-face interaction. Just another step towards some normalcy. I have some exciting plans in the works for 2016 and we just submitted our final upgrades for the new house, so hopefully they’ll break ground sometime in January. Designing a nursery for a new baby is something that every mom loves doing and thinks about from the moment she finds out she is pregnant. Due to so many unknowns, we originally just got a crib set up, but had major plans in mind once we brought her home. When Evanna was able to come home at just 10 days old (which we didn’t expect), Nick’s mom and sister rushed around getting the rest of the room set up (changing table, antique rocking chair), while my mom and sister finished washing and folding all of Evanna’s clothing. 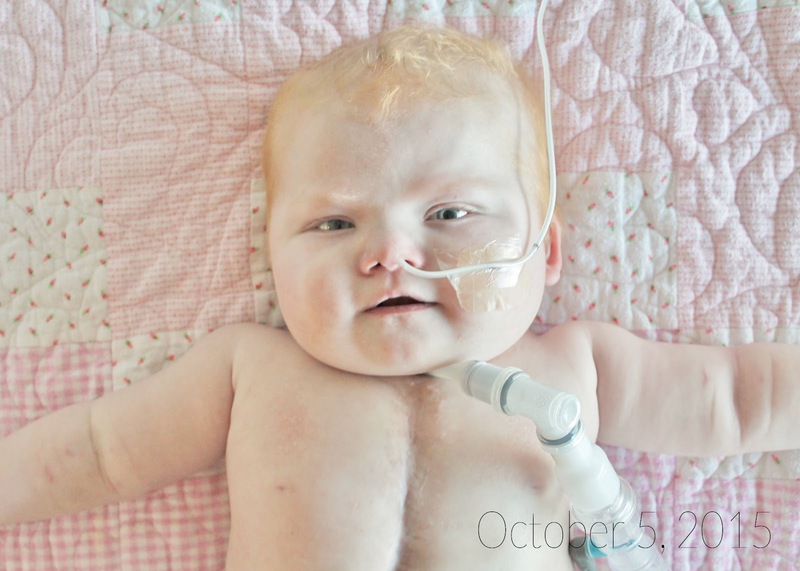 For those 5 months that Evanna was home, she primarily slept in our room in a bassinet beside our bed (thanks again Kassandra for the bassinet), and it was only just before we went up to Edmonton for her first open heart surgery, that we began transition Evanna to her crib. 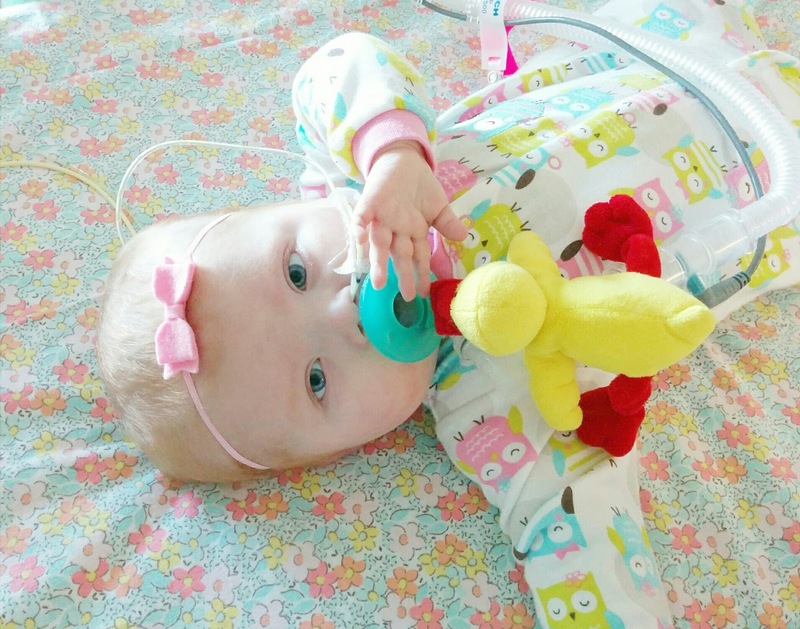 When it came time to think about bringing Evanna home again after she got her trach, I knew things had to change and we had to make space to accommodate her new equipment and night staff. I’m apart of a private trach mama Facebook group, and people often share their child’s room setups. It was definitely helpful and I got a few good ideas from them, but I was dead set on making sure her room would still be like a baby’s room and NOT a hospital room. My main focus was to make sure we kept it clear of things we didn’t need and still make it a space that was both cute and functional. Finally, since I was pregnant, I absolutely fell in love with these children play teepee's and knew I wanted to have one made for our own home. 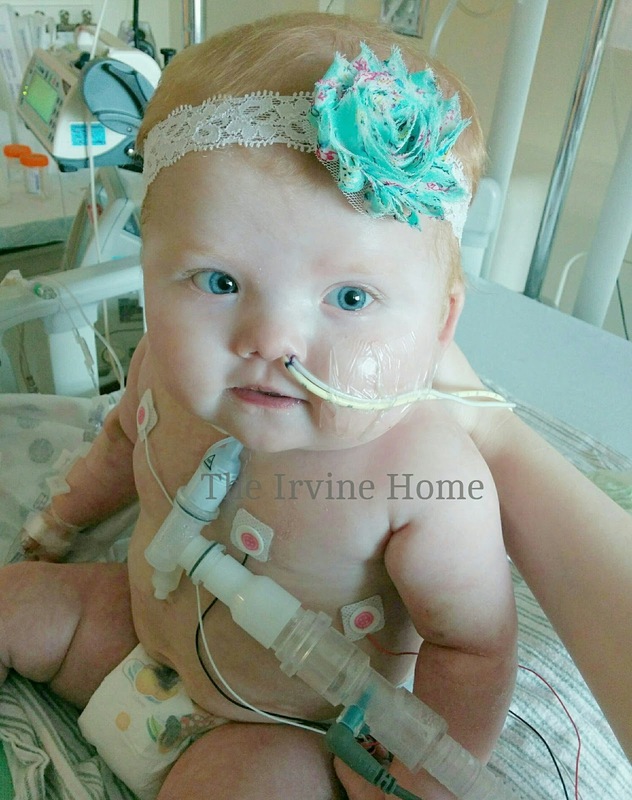 Earlier this year, when Evanna was still in the ICU, I contacted Courtney from Tnee's Teepees about a custom order. I thought it would be a great slurge for a long overdue Christmas, Birthday and coming home gift which now includes a second Christmas. She loved the idea and I provided her with links to fabric that I fell in love with on minted.com. I also became aware of a local quilter named Cherisa of The Blanket Thief and asked if she would make a quilt to coordinate a matching blanket to complete the look. I am over the moon with the results and while it's more of a decorate piece at this very moment, I know Evanna will love playing in it years to come (her cousin Alexa already proved my point as to it's awesomeness, as it was a complete hit with her). The Teepee, Quilt + matching Floor Pillow arrived this past month and so I was finally able to finish Evanna's room and take some pictures! ** Before you scroll down through the pictures, there are technically a few things missing that are added when Evanna goes to bed – like the humidifier has a pot that is filled with distilled water, and her feeding pump that we use in the living room until we bring her upstairs. You also can’t see a large emergency oxygen tank under her crib encase she either needs to be bagged or the power goes out. Anyways, there are a few other things, but I’ll explain below. Enjoy! Stunning handmade quilt made by The Blanket Thief. Cozy corner for our nurses to sit, watch Evanna and do their charting. We originally had an antique rocking chair in Evanna's room that belonged to Nick's mom, but it wasn't the most comfortable chair to sit in for a 10 hour shifts, so we switched it out for a bigger arm chair. The only thing I would love to add is some book shelves, but now that we’re moving next summer, I’m trying to avoid putting more holes in our walls and can wait until after we move. Hope you all liked it, and overall I’m quite happy with how it turned out. We did it! Our week of multiple medical appointments has come to an end, and considering our terrible weekend leading up to it – it actually didn’t go as bad as I thought it would. Evanna handled herself like a champ and maybe – just maybe, is getting use to car rides. First up was Tuesday (Dec 1) with our back-to-back appointments on opposite ends of the city…oh and did I mention that it was also on a day that Nick had to work? I arranged for one of our day nurses to work (we only get about 2 days a week of daytime nursing hours), but based on Evanna’s weekend (she was incredibly retchy), I was anticipating the absolute worst. Thankfully Evanna seemed to finally get over this episode (which I’ll talk about more further down this post), and our nurse was a great help. 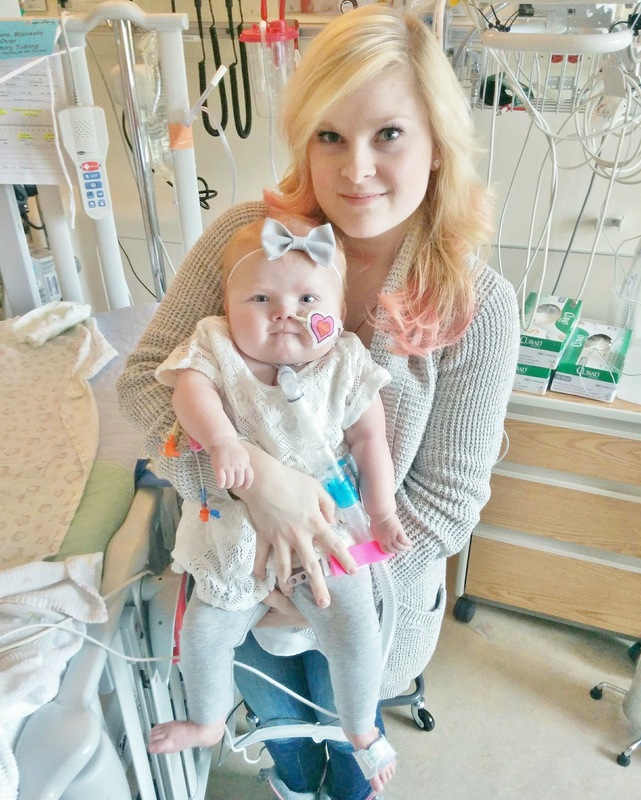 First was Evanna’s RSV shot, and while that went well, I was definitely a nervous wreck in that waiting room – THAT’S RIGHT, I have now become that mom full of panic and anxiety as my child had to sit in a room full of strangers and more importantly – icky bugs. When your child is more prone to catching a virus (via the trach) and an illness can equal a hospital admission, then you can see my dilemma. I never wanted to be one of those “helicopter moms”, but after spending over a year in hospital, it’s kind of the last place I wanna be right now (admissions are inevitable due to future procedures and surgeries…but I’d like to avoid unnecessary trips to the hospital, thank you very much). We then headed up to the hospital for our cardiology appointment. I actually almost cried with tears of joy walking through those clinic doors as an OUTPATIENT – it just felt so good to be there for a regular checkup. First they did an ECHO, and though the tech had a mini wrestling match with Evanna’s legs – with the help of good ol’ Frozen, Evanna did very well. She then had an ECG (EKG) and then finally got to see Dr. Fruitman and Patty (the Cardiac Clinic RN). Dr. Fruitman said that her ECHO was stable (yeah!! ), but it was definitely time to discuss Evanna’s next Cardiac Cath that was due last month. At the moment, Evanna requires a Cardiac Cath every 6 months so they can see her collaterals and maybe even try to balloon and stent them, but because we were trying so hard to get Evanna HOME and she was stable, her medical team (including her surgeon in Edmonton) decided it was okay to put it off until the New Year. So Dr. Fruitman stated that she would present Evanna in the next few weeks at Cardiac Conference (a conference between the cardiac surgeons and cardiologists in Alberta, Saskatchewan and Manitoba) and get Evanna booked. We also discussed on how to actually GET Evanna to Edmonton. Normally this is kind of an outpatient/mini admission procedure that we would drive up for, but Evanna isn’t exactly the best traveler at the moment AND she now comes with a lot of equipment/accessories. While it’s not done too often for an outpatient, it was agreed that we will admit Evanna down here at the Alberta Children’s Hospital and then transfer her up I believe by ground ambulance. 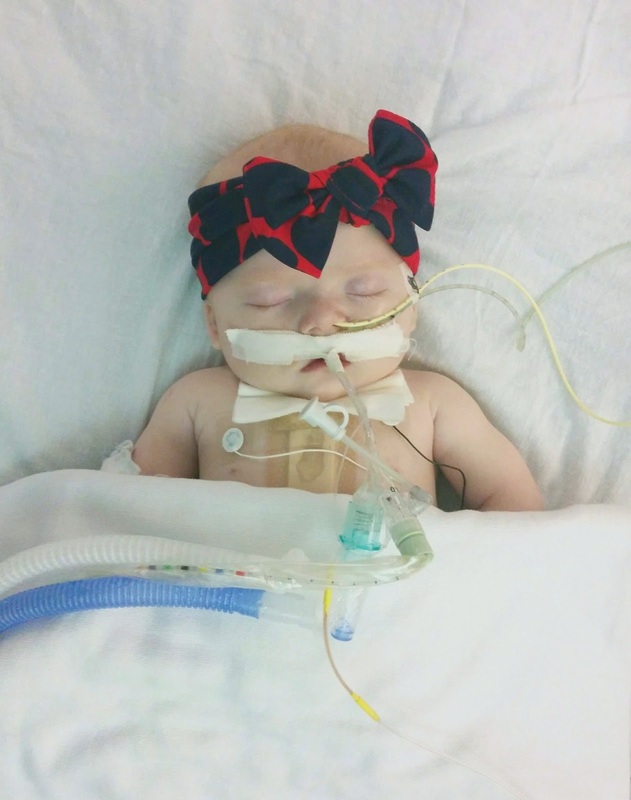 Evanna is on quite a bit of oxygen and high ventilator settings, and overall it will just be safer for her to transfer her verses going by car. 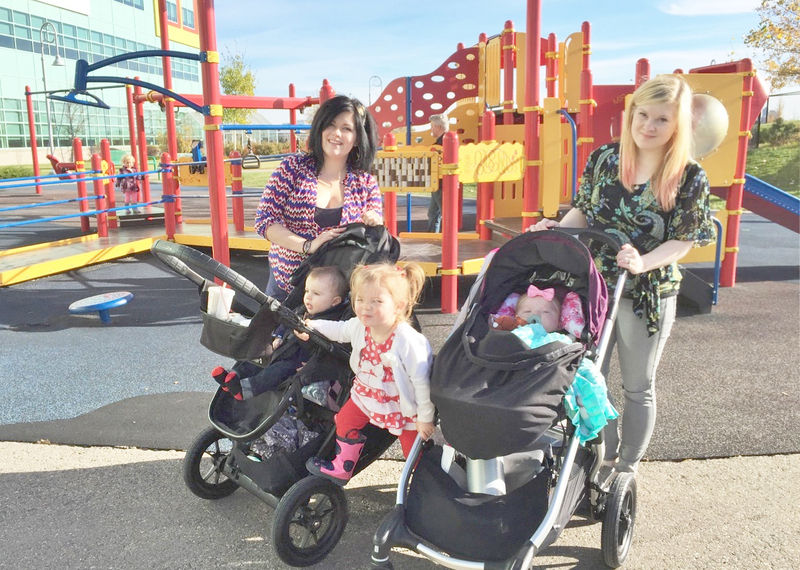 Over time as Evanna gets stronger and on less oxygen/lower vent settings we can definitely drive to Edmonton ourselves, but in the meantime Evanna is still considered quite “acute”, and we just want to do everything we can in the safest way possible. Another major thing we discussed was Evanna’s calorie intake. Over the last several months, every time Evanna is weighed, it continues to climb faster than we would like too (and normally cardiac kids have the opposite problem). We’ve already decreased her calories a few times, but it seems like we haven’t found the right spot. 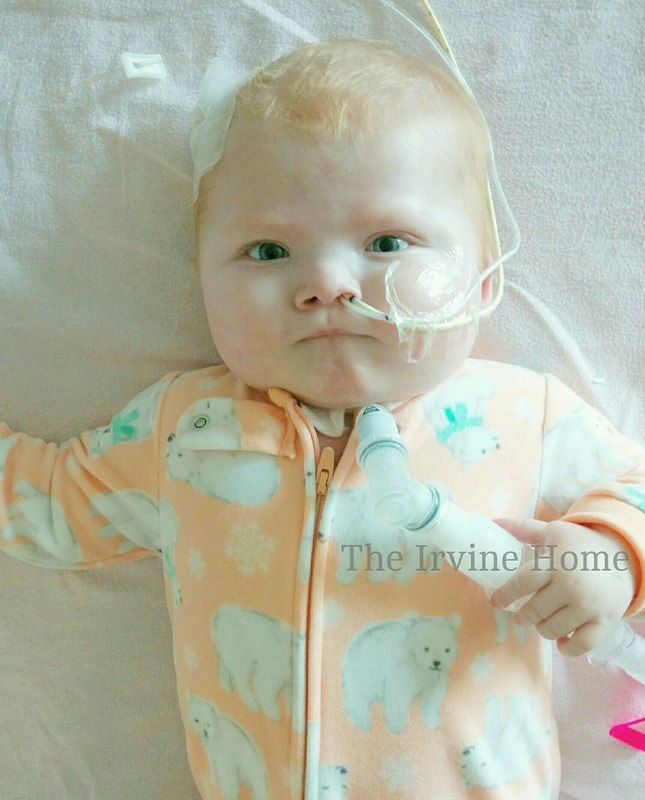 You see, though Evanna is 19 months old, due to the fact that she’s supported by a home ventilator and still somewhat “sedentary” (which will change as Evanna continues to become more mobile), she does not require as many calories as someone else her age. It’s something we will always continue to tweak over the next several years, but in the meantime we have been given the go ahead to further dilute her formula (so she still receives the same volume for hydration purposes, but it will contain less calories), and see what her weight does over the next month or so. We are booked for another cardiac appointment just before Christmas to see what came of the Cardiac Conference, and hopefully get a timeline for the Cath. 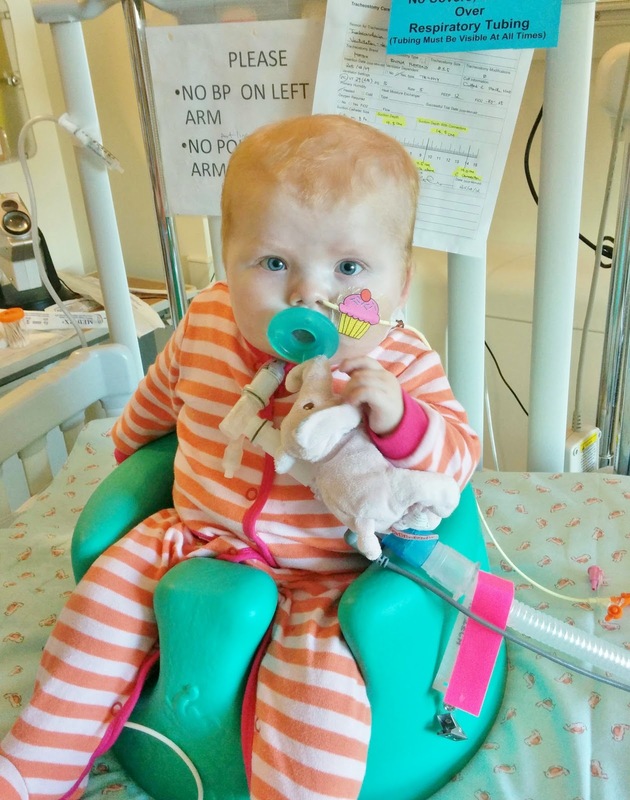 On Thursday Evanna finally had her FEES test that we’ve been waiting for a long time to do. FEES stands for Fiber-optic endoscopic swallowing evaluation (FEES). A thin, flexible lighted instrument (endoscope) is passed down the throat so the ENT can see the esophagus. I initially thought Evanna would fly through it, as she was completely orally feed the first 5 months of her life and it’s not like we have secretion issues (we never have to suction her mouth unless she’s puking), but it seems like we might have a longer road ahead of us then I thought. 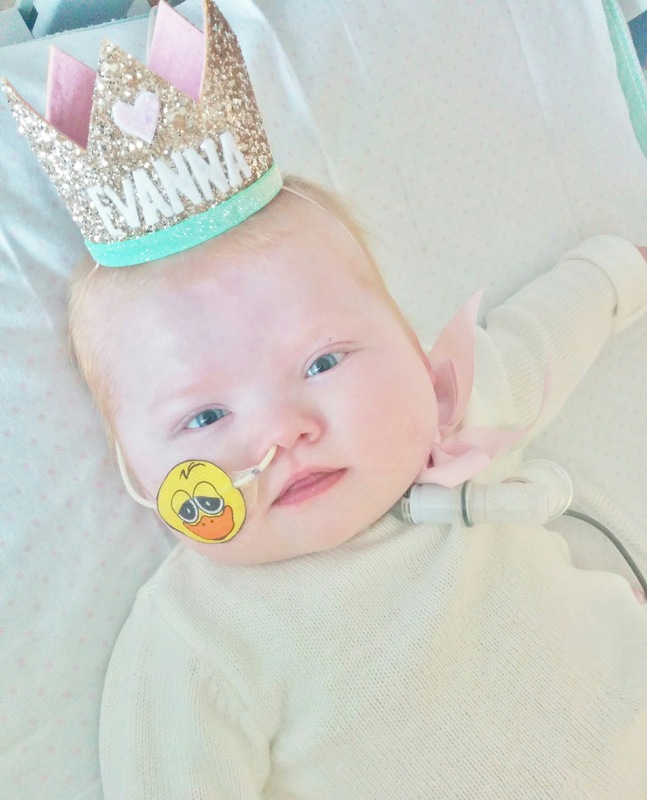 It has been determined that Evanna is somewhat at risk for aspirating as they saw “bubbling” secretions and her upper airway was inflamed and swollen. Dr. Drummond said this means that we’re looking at a longer road ahead of us in regards to getting Evanna back to feeding and to be prepared for one to a couple of years. He did however say that he would like Evanna to receive “tastes” of foods and that the ENT nurse will call us next week with instructions on how to proceed. The moment Dr. Drummond said all of this, I immediately asked about a GTube. Now that we know this will be a long term thing and getting back to oral feeding will be a longer process, I feel like an NG isn’t for us anymore. Yes, it involves another surgery, but there are lots of benefits to a GTube and we can finally get rid of the darn NG. Nick and I do not enjoy putting an NG down her nose and I feel like we’re getting to a point we’re it’s a little detrimental (causing a little bit of trauma and the inflammation) verses being a benefit. It can also cause oral aversion as it can actually get in the way and be an issue with feeding therapy when it’s safe to finally feed Evanna (it’s a tube going down your esophagus, so I’m sure she feels it every time she swallows). Finally, the GTube will allow us to feed Evanna other stuff besides formula, as some other GTube mamas have stated that we can feed her some "blended" foods and will get me all those resources when the time comes. Dr. Drummond said it’s definitely something we should consider, but to talk to our pediatrician about to put a referral in for us. On Friday we finally got to meet our lovely pediatrician. We actually had a different pediatrician last year before Evanna’s first open heart surgery, but Nick and I weren’t huge fans of him. When I began to talk about the situation to another local 22q mom (who happens to be a family physician herself), she mentioned Dr. Culman who apparently was very knowledgeable and had lots of experience with both medically complex kids and has a few 22q11 kids under her care. So just before we transferred out of the PICU back in August, I asked if they could get us a referral, and thankfully she accepted Evanna as a patient. During the appointment we talked about Evanna’s retching episodes and stated that after talking to several 22q moms, I feel Evanna has something called Cyclic Vomiting Syndrome (CVS) as it’s listed as one of the symptoms of DiGeorge Syndrome. As there really isn’t a test for CVS, it’s hard to diagnose so Dr. Culman asked me what treatments others were doing. I first asked if we could get a prescription for Zofran to help elevate the severe nausea Evanna experiences and well go from there. There are a few other things that other 22q moms mentioned to me for treatment options and so if the Zofran doesn’t work, we’ll try those and maybe even consult with a GI doctor. We then brought up a GTube, and Dr. Culman agreed immediately. Most kids with trachs have GTubes anyways, and an NG is only meant to be used as a short term option. A GTube is a safe and reliable way to feed a child for a longer period of time. You don’t run the risk of formula going into their lungs and if Evanna gets sick, there is a secure way to give Evanna meds and keep her hydrated. They’re really easy to keep clean and change out and once Evanna doesn’t need a GTube, you just take it out and the hole closes on its own. Dr. Culman said the process can take a few months however (it’s not an emergency surgery… so we now have to learn to be patient for surgeries – something we’re generally not use to lol), but she’ll put in the referral immediately. So that’s basically where we stand from a medical standpoint. I feel like we’re still in that “transition” period of being home, but as more and more time passes, I know we’ll see the inside of the hospital less and less. Everyone is happy with how Evanna is doing and we will continue to move forward as Evanna allows us too. Basically in the immediate future, we are going to continue to work on Evanna’s development (PT rescheduled and will be coming this week! ), and she has a Cardiac Cath in Edmonton at the Stollery and GTube surgery planned over the next several months. 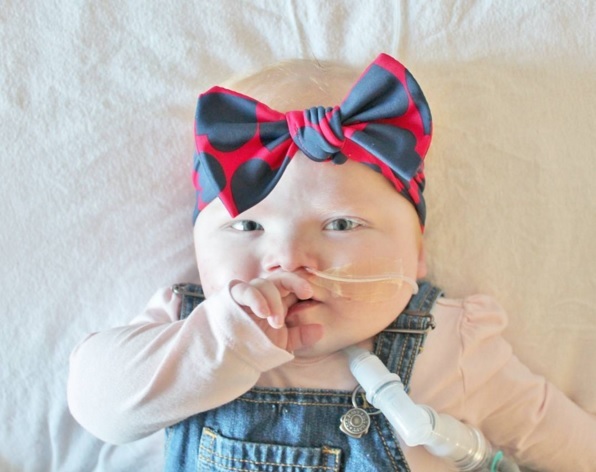 As for other medical appointments for the month of December, we have a Complex Airway Clinic (CAC) appointment this week where we hope to lower her oxygen requirements from 4L to 3L and do a planned trach change. Then we have another RSV shot in a few weeks and a Cardiology follow-up just before Christmas to find out the Cath timeline. We have some fantastic Christmas plans for Evanna, and I can’t wait to enjoy our first real holiday at home (in Canada, Thanksgiving was back in October)! We’ve almost been home for an entire month and we’re thrilled at how smooth everything has gone so far. We have amazing friends and family who have been so accommodating, and I feel like we’re finally getting back into our old routine. Our friends have been so great and I feel so blessed to have them, as we’ve had several get togethers over the last several weeks since we’ve been home, and knowing how much work it is to take Evanna out, have allowed all the gatherings to be at our house. We’ve been having so much fun and I seriously can’t describe how amazing it's been to just LIVE!